Diversified Wealth Management Solutions, LLC is a truly unbiased full service financial planning and retirement planning firm focused on delivering customized solutions, designed to address the individual needs and goals for all stages of life. 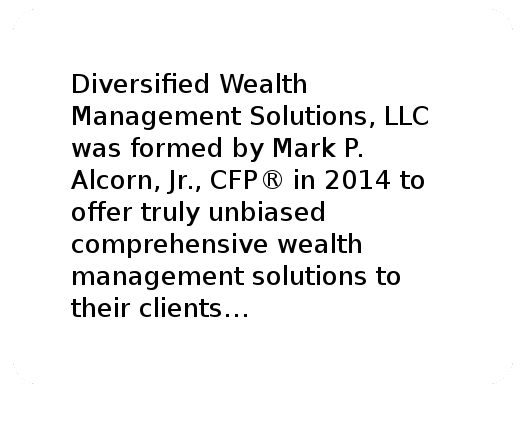 We are lead by Mark P. Alcorn, Jr., a Certified Financial Planner. Private wealth management is what we do. Contact us today and let's find a wealth building solution that is right for you! Diversified Wealth Management Solutions is a truly unbiased full service wealth management firm that focuses on delivering customized solutions designed to address the individual needs and goals for every stage of life.